The SatSCADA Platform is an end to end satellite-based remote monitoring platform that features the SAT1xx family of Satellite Based Terminals operating on the Inmarsat Satellite Network connected to the powerful SatSCADA Server. The SatSCADA platform and SAt1xx terminal family enable every SAT1xx terminal to provide full Modem, RTU, and Alarm Callout functionality. The SatSCADA Platform allows easy, scalable, secure, rapid deployment of satellite-based monitoring & communications whether a single site or to a large scale enterprise deployment. 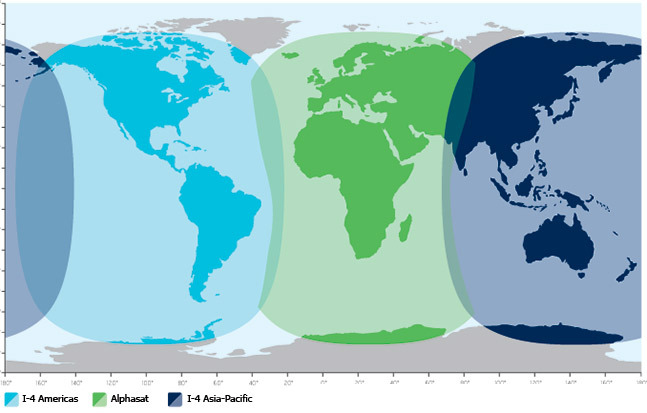 Inmarsat Based Geosynchronous Satellite communication technology enables worldwide coverage without reconfiguration, re-provisioning and recommissioning. This ensures that SatSCADA systems come fully tested and operational. SatSCADA’s architecture allows flexibility to deploy a simple stand alone alarm call-out application with SMS, Email Notification, and Web Access to full integration into customer’s Enterprise SCADA Network with the SAT1xx Terminal used as a Modem, RTU. The SatSCADA platform allows the flexibility to use of any and/or all subsets of features of SatSCADA. 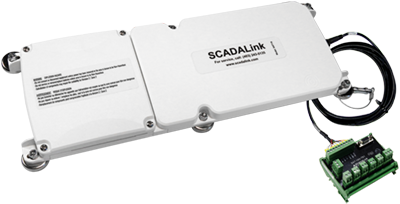 SCADALink SAT1xx Terminals are a flexible low power satellite SCADA device that provides Modem, RTU, and Alarm Callout in a single device. They are designed for remote SCADA communications and monitoring to RS232/RS485 serial devices (Ethernet also with SAT130) such as Flow Computers, RTU, PLC, Smart Transmitters and Power Meters inaccessible by terrestrial communications. The SAT1xx Terminals’ low power draw makes it an ideal solution for many remote SCADA applications. 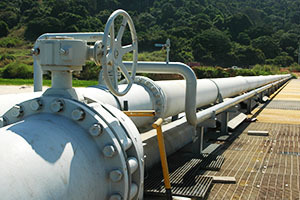 Remote connectivity to serial devices such RTU, PLC, Flow Computers, and Data Loggers from the customers centralized SCADA application. Satellite modem with 2 serial ports: COM0(RS-232) and COM1(RS-485). Serial ports accessed as IP socket connections in IPMux or Virtual Serial Mode via the SatSCADA Server for SCADA communications. External serially connected devices can be polled by the SAT100 Modbus Master using Modbus RTU protocol on COM0 (RS232) or COM1 (RS485) serial ports and mapped to the SAT1xx Modbus Register Map. RTU mode can be used to monitor integral I/O points and I/O points from external serial connected devices. SAT1xx terminal can concentrates all data in a single Modbus register map. Alarm Callout Feature of the SatSCADA Terminals can be utilized to provide Alarm Callout function from a single alarm point connected to integrated SAT1xx I/O to multiple Modbus registers polled from RTU/PLC at larger remote facilities. When an Alarm Callout message is generated, all TAG point data is updated along with the TAG point that generated the alarm. Callout Messages are sent from SAT1xx to the SatSCADA Server where customers can interface from their SCADA Host via the SatSCADA Client using Modbus or monitored using the SatSCADA Notifier to generate email, SMS or option Voice Notification. SAT1xx Terminals works with SCADALink SatSCADA Server software to provide a complete end-to-end satellite networking solution, allowing SCADA Hosts to reach SAT1xx terminals located anywhere in the world. SatSCADA acts as a network bridge to provide Customer SCADA Host with easy, secure access to remote SAT1xx units. The server provides Monitoring and Alarm Notification function when a customer does not have or want to interface to their own SCADA Host system. The server can be configured as Modbus Slave and/or in Full Transparent Data Mode. 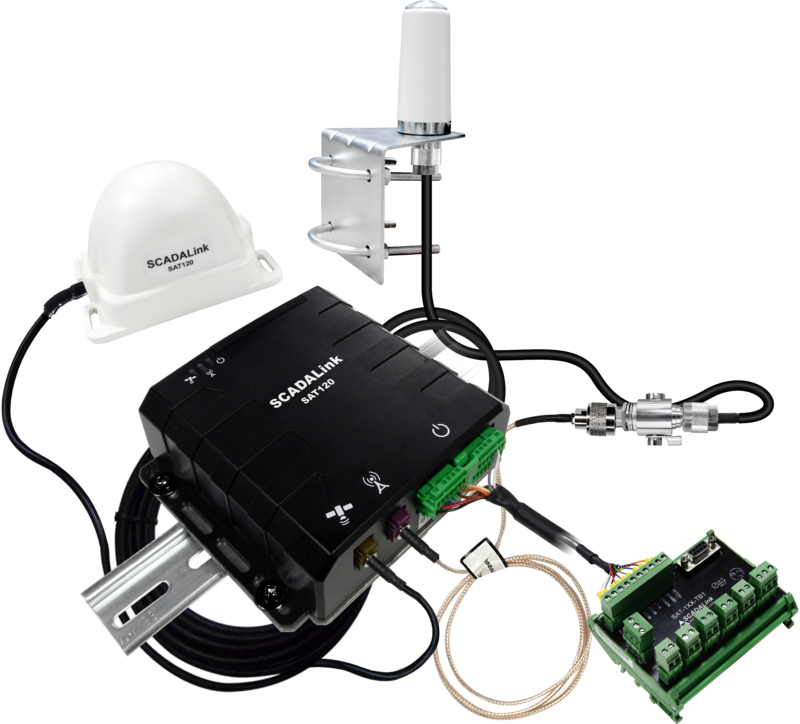 The SCADALink SAT100 is a flexible low power satellite SCADA device that provides Modem, RTU, and Alarm Callout in a single device. It is designed for remote SCADA communications and monitoring to RS232/RS485 serial devices such as Flow Computers, RTU, PLC, Smart Transmitters and Power Meters inaccessible by terrestial communications. The SAT100’s low power draw makes it an ideal solution for many remote SCADA applications. The SAT110 is a portable RTU / Alarm Dialer Unit featuring a built-in battery, vibration sensor, I/O, mag mount and C1D2 hazardous location certification that can be rapidly deployed for monitoring Run / No Run condition of compressors and generators. 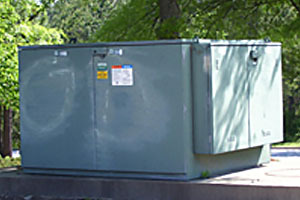 Integral GPS allows location tracking of remote assets such as generators, compressors, tanks, skids, and buildings. The 3 integral I/0 allows connection of alarm contacts and switches. SatSCADA is an End to End Satellite SCADA Communications and Remote Monitoring Platform that provides easy, scalable and secure access for remote site monitoring and communications globally. SatSCADA operates on the Inmarsat Satellite Network allowing Global Coverage without reconfiguration and recommissioning. The SatSCADA family of Satellite Terminals include the SAT100, SAT110, &amp; SAT120 Terminals. All terminals provide Modem, RTU, &amp; Alarm Callout Functionality. SAT1xx terminals include integrated I/O (4 AI/DI/DO) and RS232 &amp; RS485 serial connectivity (Modbus RTU Master/Slave &amp; Transparent). The SAT130 provides Ethernet and WiFi connectivity. All SAT1xx terminals support an optional 4 x 20 ASCII Display/keypad for local readings. 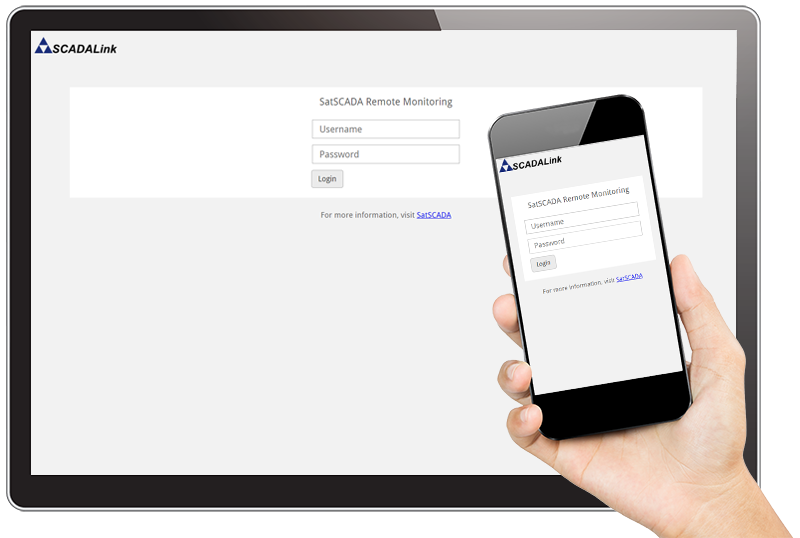 The SatSCADA Web Client application provides cost effective, easy to use monitoring to clients for standard monitoring industrial applications. The SatSCADA Web Client provides user access via a Web Browser on Desktops, Laptops or Smartphones. The Web Client provides Site View, Tag View, Trend and Map Views, and is auto-configured based on the SAT1xx Terminal Configurations. The SatSCADA Gateway and SatSCADA Proxy provides the customer a secure transparent data communications link from user SCADA applications to the RS232 and RS485 ports of SatSCADA Terminals. This allows the SatSCADA platform to used with common industry SCADA Host applications; and EFM, RTU, PLC, and data logger systems. SatSCADA Server – Receiving and Archiving of Alarms, Events, and Historic Data. SatSCADA Data Management – Controls Data Communications Access and Use. SatSCADA Proxy Client – Allows Secure HTTPS Access to Client Terminals from the customer without VPN. The client allows TCP socket connection to devices connected via SAT 1xx Serial Ports, or to SAT1xx RTU, or to SAT1xx Modbus Proxy. 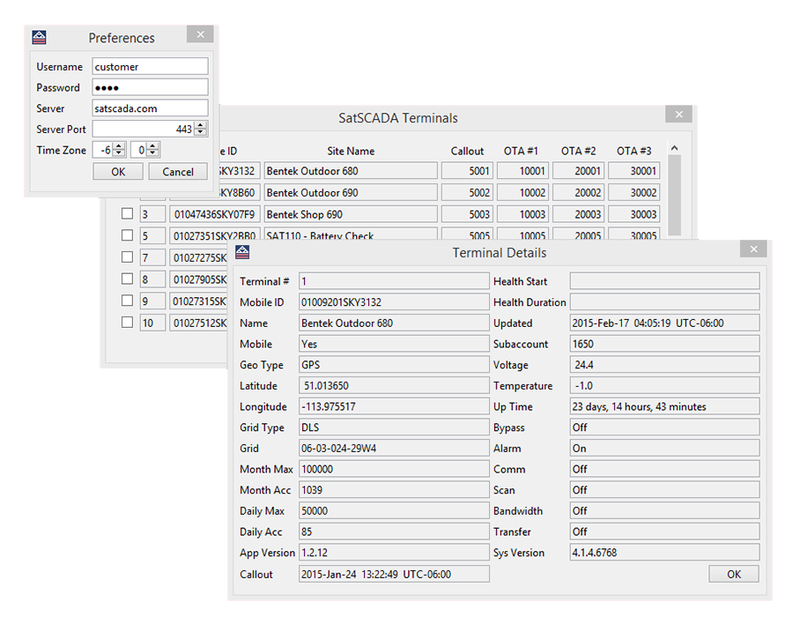 SatSCADA GUI – Software to configure Terminals. SatSCADA Platform is based on the SatSCADA Cloud SCADA. The SatSCADA Web Client provides access to Site View, Tag View, Alarm Summary/History, and Google Mapping from Web Browsers and Smartphones. The Web Client is auto-configured based on SAT1xxx Terminal Configuration. Callout Messages are sent from SAT1xx to the SatSCADA Server where customers can interface from their SCADA Host via the SatSCADA Client using Modbus or monitored using the SatSCADA Notifier to generate Email or SMS notifications or optional Voice Notification. The SatSCADA Proxy Client allows customer’s secure TCP/IP access to their fleet of SAT1xx Terminals from their LAN. Communication to the SAT1xx Terminal can be pass through to the SAT1xx Terminals RS232 and RS485 Ports; polling of the SAT1xx RTU via Modbus, or the SAT1xx Modbus Proxy. The GUI is used to configure SatSCADA terminals either locally via a serial port or remotely over-the-air. Login to SatSCADA Wiki to see details. Complete SAT1xx RTU Packages for common applications. Do SatSCADA terminals operate on a GEO or an LEO satellite network? SatSCADA terminals operate on the Geosynchronous (GEO) Inmarsat Satellite Network with 3 Geostationary Satellites Beam Patterns providing global coverage. The GEO satellites are nominally located 22,199 miles above mean sea level. Operation of a GEO network ensures communications availability anytime. Systems operating on Low Earth Orbiting (LEO) networks will have communications gaps when satellite terminal is not in satellite coverage of an LEO satellite. What is length/duration of the transmit window for the SAT1xx terminal? SatSCADA SAT1xxx modems can communicate at ANYTIME from the SAT1xx terminal on SCHEDULE, EXCEPTION, or ON-DEMAND from a central host. This is unlike GOES Satellite Telemetry which uses a GPS time synchronized data transmission mechanism that determines when you can transmit, is one-way transmission and has limited data lengths. Is SatSCADA satellite communications expensive? Since communications are billed on data basis, satellite communications can be expensive if used improperly. When data transmission is an exception or low frequency scheduled basis, SatSCADA satellite data communications can be very cost effective. For low data rate applications, SatSCADA satellite communications solutions will provide the lowest cost of ownership (Low total equipment costs, lowest integration cost, & lowest field service costs). What is the interface for linking your SatSCADA backend to other databases such as WISKI, HYDRSTRA, MySQL, etc.? SatSCADA has a Modbus Proxy interface for interfacing to SCADA Host systems. SatSCADA also provides a CSV data export functionality. 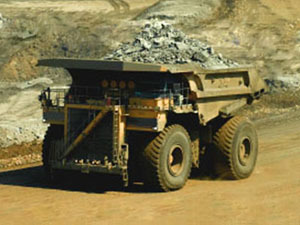 SatSCADA terminals allow providing a transparent data link from the SatSCADA terminal or connected equipment to the customs monitoring application. SatSCADA is a powerful satellite-based SCADA communications and monitoring platform integrating easy to use satellite terminal hardware/firmware with data communications, and monitoring services. Users can choose to utilize SatSCADA platform solely for the data communications services or a complete end to end monitoring service. Can I use SatSCADA to connect to an Ethernet PLC/RTU? The SAT130 can provide full Ethernet connectivity while in cellular coverage enabling full PLC programming, Ethernet-based protocols including Ethernet/IP and Modbus TCP, and FTP. In areas outside of cell coverage, one would have to revert to RS232 or RS485 connectivity. Since the SAT100 and SAT120 only have RS232 and RS485 interfaces, a Serial to Ethernet Gateway such as the SCADALink IP100 would be required to interface an Ethernet PLC/RTU to an SAT100 and SAT120 terminals. SatSCADA terminals can be used to connect Ethernet devices when there are no alternative communication options and a low data rate application is required. What type of sensors can I connect to SAT1xx terminals? 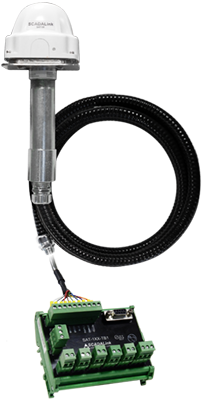 Standard 4-20 ma or 1-5 VDC industrial sensors can be connected to SAT1xx terminals I/O configured as analog. Digital I/O can be connected to SAT1xx I/O configured as digital inputs. Additional I/O can be connected using Remote I/O, RTU, or PLC. Smart sensors with Modbus RS232 and RS485 interfaces can be connected to the SAT1xx RS232 and RS485 ports. How does one use the integral vibration sensor on the SAT110? The SAT110 has an integral accelerometer. The SAT110 has been programmed to sense equipment RUN / NO-RUN based on acceleration in 3 axes. NO RUN condition is based on acceleration levels below set threshold for a specified time. 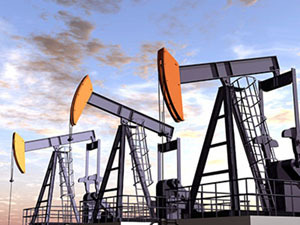 The parameters have been optimally set for monitoring of compressors and generators. Why should I utilize SatSCADA with satellite communications because I have cellular communications at my site? 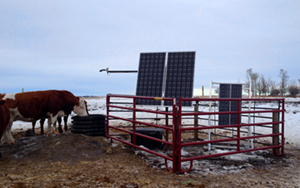 Satellite communications may be more reliable at remote sites. At remote field sites, cellular communications may be intermittent due to foliage or terrain obstructions. 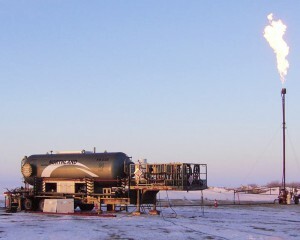 This may cause unreliable SCADA or alarm callout operation and associated higher field service costs. 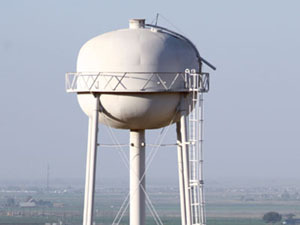 SatSCADA satellite communications do not require costly elevated antenna towers. Alternatively one could utilize SatSCADA SAT120 or SAT130 with dual mode satellite/cellular communications for critical sites with higher data requirements. Cellular is used with fail-over to satellite. With SatSCADA satellite communications you can be ensured of connectivity at your site. 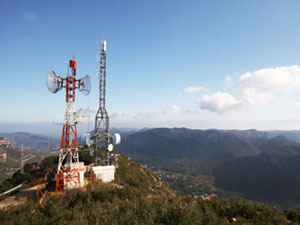 There is no wondering if there is coverage at your remote site or whether you need to build a communications tower. SatSCADA based systems offer portability. They can communicate anywhere is the world, without the need to reconfigure or reactivation on a different carrier. How do you determine a clear line of site path to the satellite? The GEO satellites are nominally located 22,199 miles above mean sea level directly above the equator. The elevation angle and azimuth angle to the satellite will vary depending on your site location. This angle can be calculated with online satellite look angle utilities. 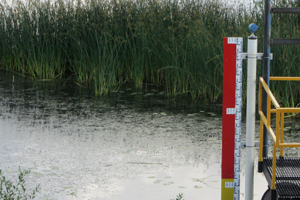 The elevation angle from a site may range from 25 degrees above the horizon in Northern Alberta to 90 degrees above the horizon at the equator. Onsite path tests may also be performed to verify path in instances where there may be foliage or terrain obstructions in this path. … see Case Study for SatSCADA Satellite Path Analysis. The SAT-1xx-TB1 Breakout Box is used to connect the SAT1XX terminal to Power, the RS232 & RS485 ports and onboard I/O. The SCADALink Signal Conditioner Board Series (SC-VIN, SC-CIN, SC-DIN) provide convenient signal conditioning and termination for Analog and Digital I/O to SAT1xx Satellite Terminals.